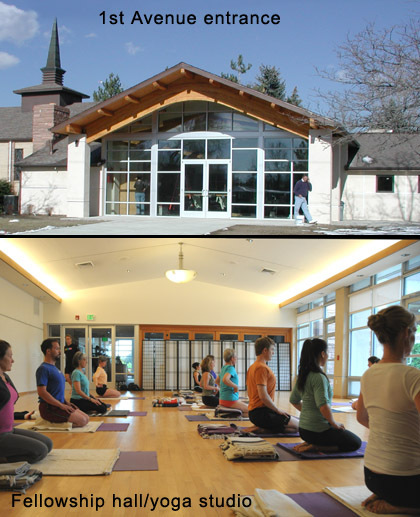 Except as otherwise noted, classes are held in a spacious, wood-floored meeting room at Lakewood United Church of Christ, 100 Carr Street, in Lakewood, Colorado (on the west side of the Denver metro area). The church is on the northeast corner of 1st Avenue and Carr Street. Carr Street is between Wadsworth and Garrison. MapQuest map. Please enter through the glass doors on 1st Ave.